Luxury villa projected and located in the prestigious gated and secure urbanization of Sierra Blanca, one of the most exclusive areas of Marbella, known for the panoramic views to the sea and a high level of security, excellent infrastructure and proximity to the center of Marbella, the Golden Mile and Puerto Banús. The exclusive villa has a South orientation, built with the best qualities with great attention to detail. The new house has three floors with a total of eight bedrooms. The basement boasts a SPA, cinema room and gym, machine room and a garage for 4 cars. 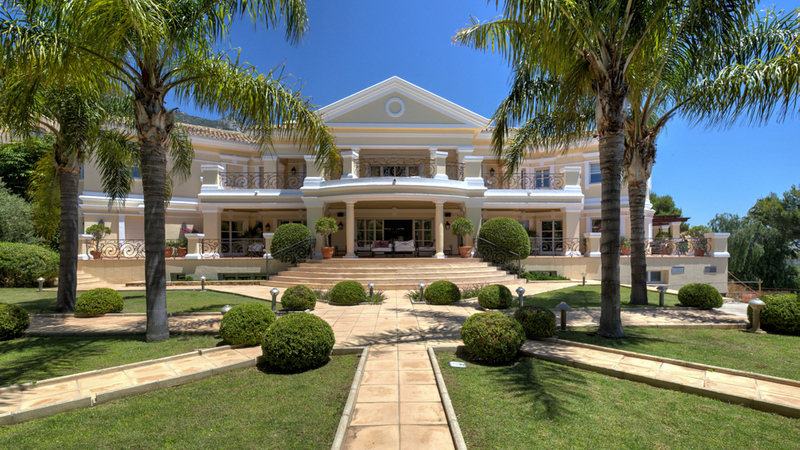 The main floor consists of an entrance hall, large living and dining room, and a luxurious and fully equipped kitchen. From the main floor you have direct access to the terraces and private garden with a large swimming pool, resting area and barbecue area. The upper floor has four bedrooms. The master bedroom is large with dressing rooms for him and her, a luxurious bathroom with bath and shower. There is direct access to a large terrace with panoramic views to the sea. Using the best qualities, the villa will have under-floor heating, home automation system, lighting system, solar panels, garage for 4 cars, private cinema, SPA, etc. 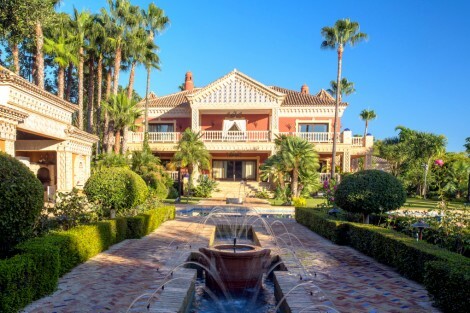 Please, send me more information about ref W-02CIBX, Villa in Sierra Blanca, Marbella Golden Mile or similar properties.